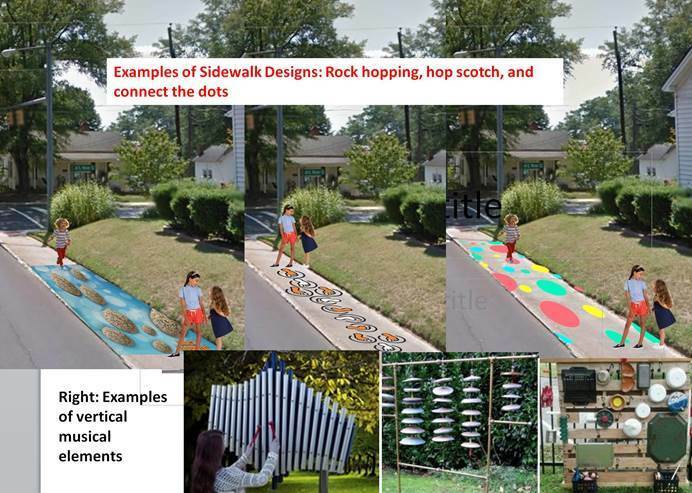 Playful Spaces creates interactive sidewalks and crosswalks with the addition of painted footsteps, hopscotch squares and musical notes. Chalk stations offer sidewalk chalk to add creativity to the sidewalks and painted designs. 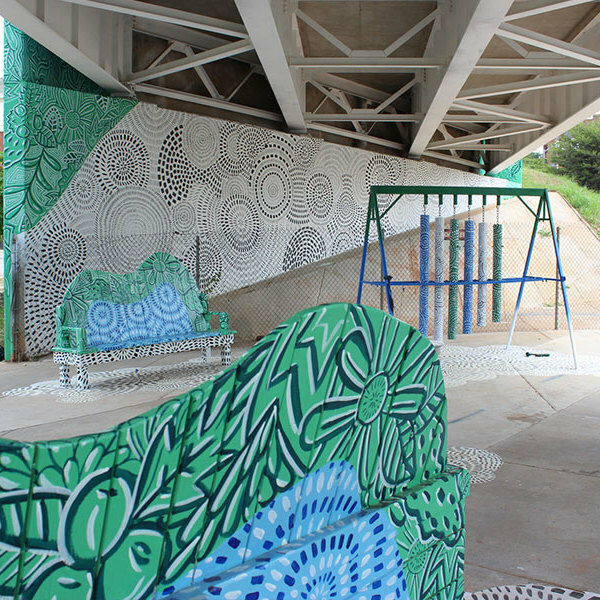 The installation also includes vertical "musical elements" at various locations along the sidewalk. The music alerts cars to kids playing and provides kids with an activity or "destination" to look forward to as they continue their walk. The musical elements include pots and pans, metal tubes and other fun noisemakers. 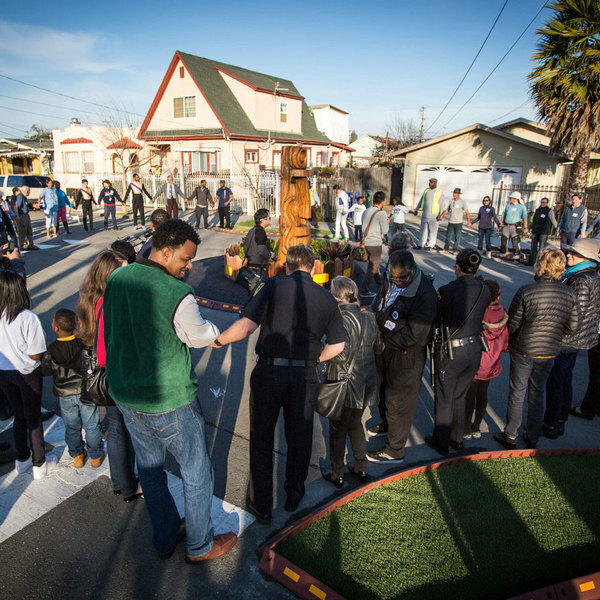 More often than not, this project gives light to the neighborhood. 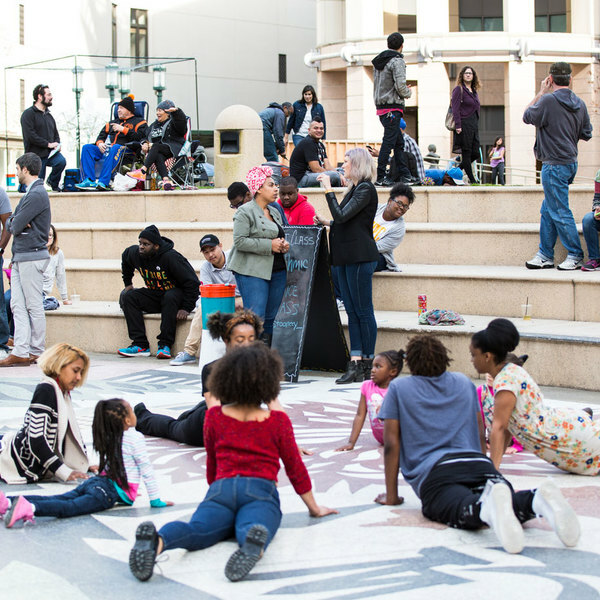 Playful Spaces gives kids "something to do" when walking with their parents or other adults. It also encourages on-the-spot learning and promotes healthy physical activities for kids and their families.